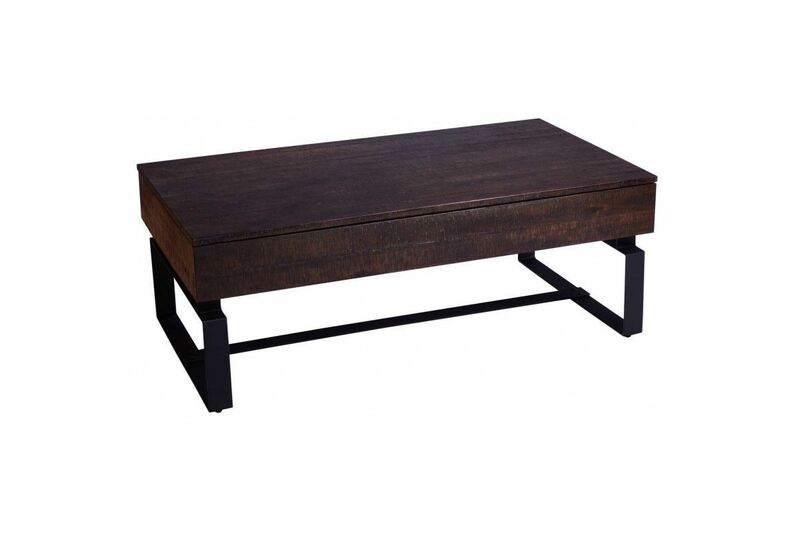 The Lincoln Lift -Top Coffee Table helps rustic and industrial meet in a beautiful way. The table is made of wood that is made to look textured and worn. The wood sits on a metal curved-legged base. 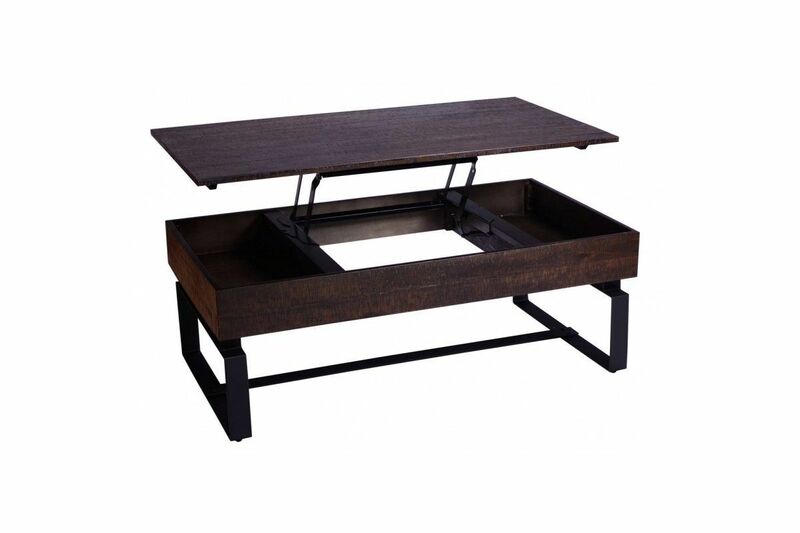 The Jaguar Cocktail Table features a lift-top providing hidden storage and convenience.